Goshen is made up of both the Town and the Village of Goshen. 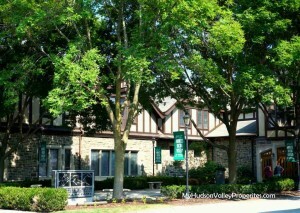 The village is the county seat of Orange County NY chosen as it lies in center of Orange County NY. A small community the last census states that the combined Town and Village has less than 14,000 residents living there. Commuter friendly, Goshen is only 55 miles north of New York City. A most noted historical claim is the that Goshen is home to the Goshen Harness Racing Museum & Hall of Fame, The Hambletonian, from 1930 to 1956, was hosted at the former Good Time Park. The racetrack is a National Historic Landmark right in the center of the village. Opened in 1838 it has been in operation ever since, and is the oldest continuously operated horse racing track in the country. Students that live in Goshen are able to attend the Goshen Central School District. Goshen shares the district with some residents of Hamptonburgh and Wallkill. Living in Goshen you will find great amenities too. Wonderful restaurants, access to healthcare, shopping, the great outdoors and more, Goshen has some wonderful places to call home. Varied in price, location and architecture, Goshen has some great options of homes. Take a look and let me know what you think? These can get you started, now sign up for your own search of properties for sale in Goshen NY. You can select, save and review properties here any time you wish. When you are ready to tour them, give me a call and we can get started finding that perfect house to call home.